Get all your questions about summer camp answered and find out what’s new at camp this summer! 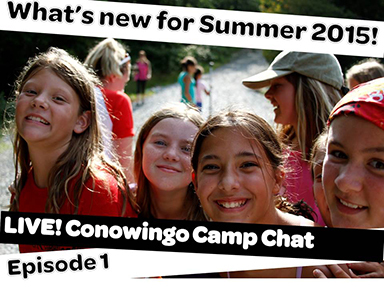 Join Megan “Taz” Hardy and Kelly “Mustang” Rhodes for Conowingo Camp Chats on Google + or YouTube tonight at 7pm. Send your questions to: krhodes@gscm.org. Hope to talk with you this evening!